There are many places on earth that I have visited that seem, well, unearthly. But none are as strikingly odd or as otherworldly as what lies below. You have to make a concerted effort to reach them — they’re clearly not something you may happen to see along the road on your way to somewhere else. For just about everyone, they require that you explore them as a group in the company of a guide. They have their own vocabulary — speleology, spelunking, stalagmites and stalactites, boxwork, boulder choke, frostwork. And they’re like nothing else in the world. 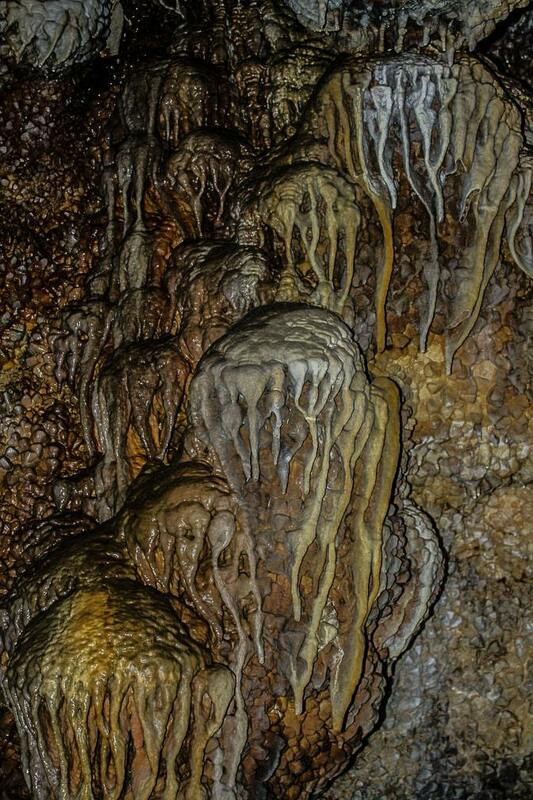 To me, caves and caverns are some of the world’s most intriguing natural phenomena. They quickly channel my inner geologist as I marvel at the evidence of millions of years of erosion, chemical processes, and tectonic events. They easily tap my inner child, who’s just dying to explore all those side tunnels and passages and discover a new chamber or river or pool. And they may also bring out a little uneasiness when a guide turns off the lights, plunging me into complete silence and an oppressive blackness so pure that I can’t see my hand in front of my face. These byzantine mazes of surreal rock formations are a great place to escape a sultry summer — they can be 40 to 50 degrees cooler than the surface temperature that’s causing you to dehydrate. Of course, if you’re visiting them in winter, they’re a good place to warm up. So, whatever the season, going deep underground and enjoying some of the most fantastic year-round wonders of nature is always a thrill. These are my favorites. Bats, yes. Spiders, sometimes. A blind fish or two, occasionally. But glowworms? They weren’t exactly the type of life form I expected to find in a cave. 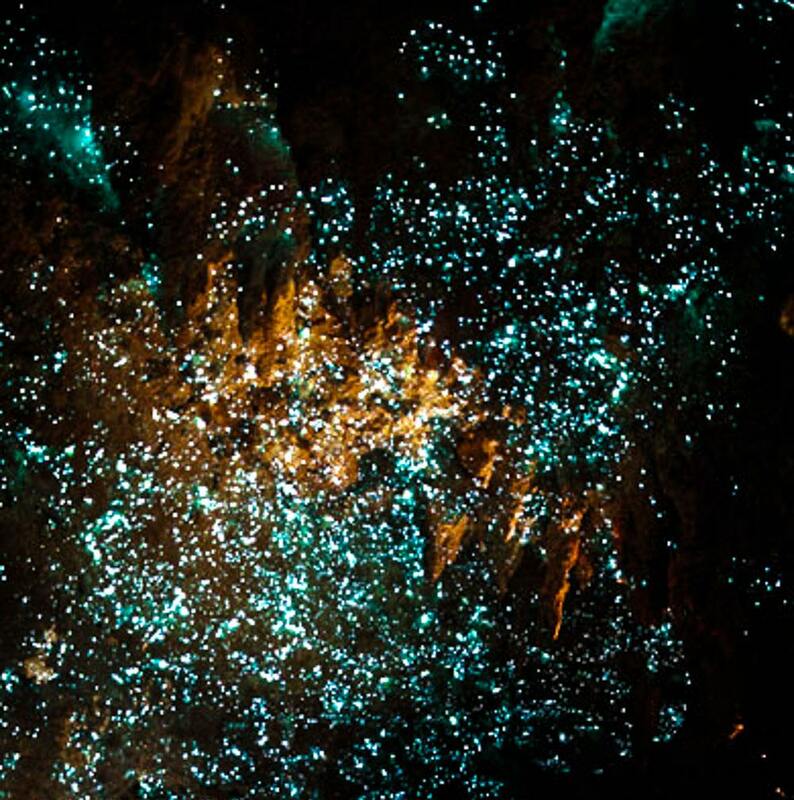 For more than a century, people have been exploring and visiting Glowworm Caves on New Zealand’s North Island. In addition to the outstanding limestone forms, the caves offer a unique opportunity to board a boat on the underground Waitomo River. As the guide began to row us along, he requested that my fellow passengers and I suspend all conversation so that we could better appreciate our soundless surroundings. Only the sporadic dripping of water interrupted the peace — until we entered the Glowworm Grotto and everybody simultaneously uttered amazed exclamations in half a dozen languages. Above us, thousands and thousands of tiny glowworms illuminated the ceiling and upper walls they were clinging to. Even though I was far below ground, it was as if I were outside, looking at the starriest sky imaginable, with zero light pollution. This galaxy of living lights was also reflected in the water, making Glowworm Caves the most enchanting experience I’ve ever had underground. Named for the 60-foot limestone bridge above Natural Bridge Caverns (the only remnant of the caverns’ roof that collapsed eons ago), Texas’ largest commercial caverns lie 180 feet below the surface and retain a constant temperature of 70 degrees and a humidity level of 99 percent. My one-hour tour covered only half a mile, about a quarter of the caverns’ length, but that short distance is crowded with outstanding features. The chambers are huge — the Castle of the White Giants, for instance, is 250 feet long, and both 50 feet wide and tall. 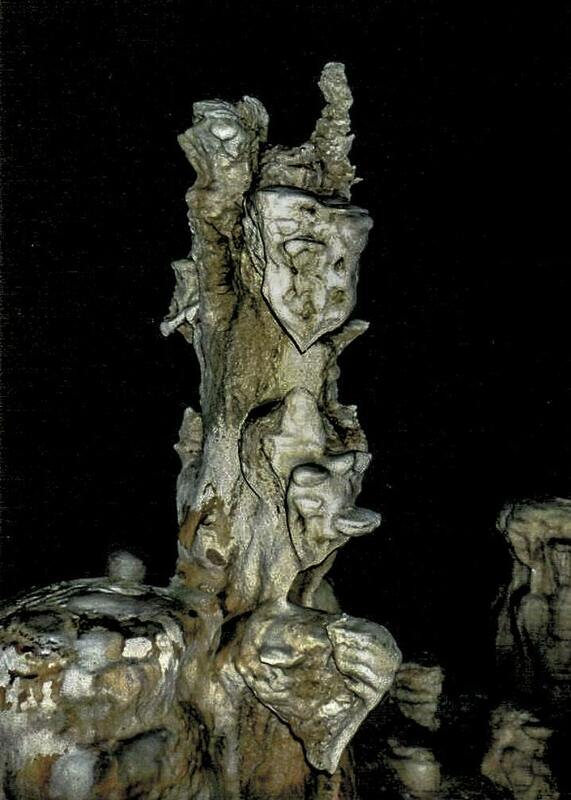 They’re filled with moist stalactites, stalagmites, ribbons, curtains, chandeliers, and soda straws that conjure up images of Alien or Prometheus. Although the caverns were found — by college students — only in 1960, people were roaming around in them long before they, and I, came along, evidenced by the discovery of arrowheads and spearheads that are about 7,000 years old. In 1910, Aranui Cave was accidentally discovered by a local Maori man, Ruruku Aranui, when his dog gave chase to a wild pig and they both suddenly vanished. Lured by his dog’s barks, he found that both animals had fallen through a hole in a hill and ended up in one of the cave’s chambers. A year later, the cave, named after its discoverer, opened to the public, and it makes for a perfect complement to my #1 cave, Glowworm Caves, only a five-minute drive away. The guide led me into the “Butcher’s Shop,” where, with just a hint of imagination, the stalactites take on the shapes of a side of beef, a duck, and a sheep, hanging from the ceiling. 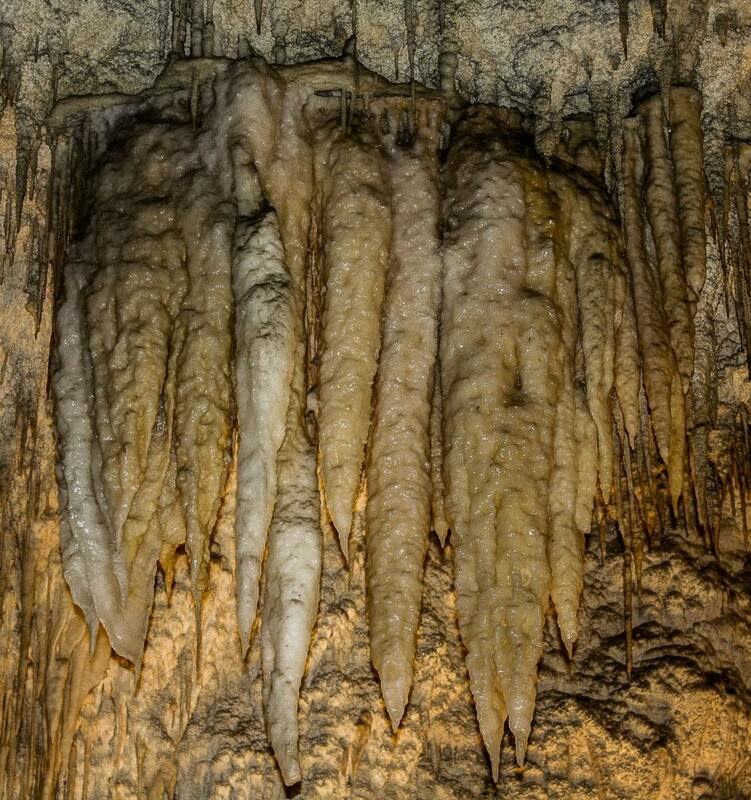 They’re just a few of the millions of pale brown, pink, and white stalactites in this cave. In narrower chambers, a green grocer’s room offered fine pairings to the limestone meat I just saw, with a wide selection of formations that could easily pass for carrots, parsnips, and cheese. This fairly dry cave supports very little life, except at the entrance, which serves as the home to a colony of cave wetas (large, prehistoric, locust-like insects with long antennae and spindly legs that use their eyes to avoid too much light) that are unique to New Zealand. Sounds gross? You’re not alone — “weta” means “ugly one” in the Maori language. The third-longest cave in the world and the second-longest in the United States, Jewel Cave was declared a national monument by Theodore Roosevelt in 1908, only eight years after its exploration began. Named for the calcite spar crystals lining the walls, “jewel” may be a bit of a misnomer, as calcite is too soft to be considered a true jewel. But a little bit of fudging seemed irrelevant to me as I began the half-mile tour about 260 feet underground, a fascinating walk through only a tiny section of the cave’s 166 miles, a number that increases yearly as cavers find more passages. Twisting and turning, rising and falling, the passages are like the small intestines of a gargantuan creature, tightly coiled under only three square miles of land area. Catwalks and 723 stairs along the way afford close-up views of beige flowstones that resemble jellyfish, formations that look like cauliflower, and the black abyss below. 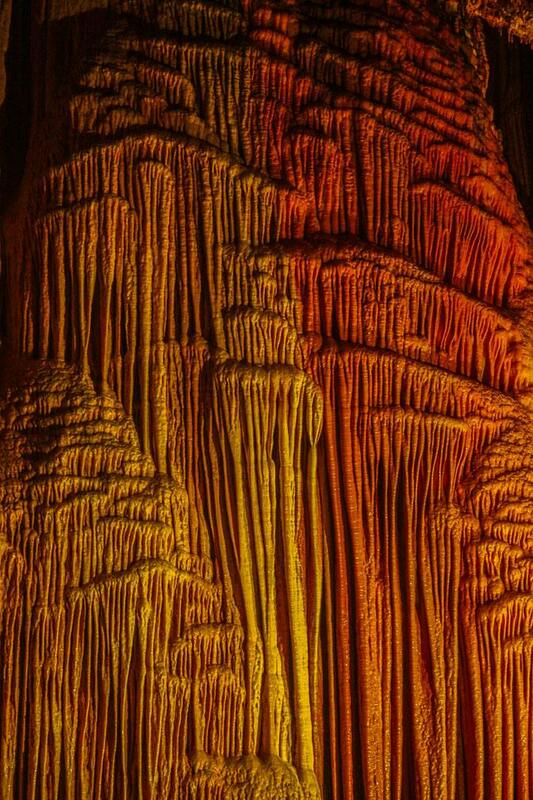 There’s the occasional flash of color, too, like the cave bacon, a rippled 20-foot-tall calcite ribbon drape, illuminated from behind, that unarguably looks like something a giant would put on his cheeseburger. At a constant 49 degrees, Jewel Cave is a very cool place indeed.